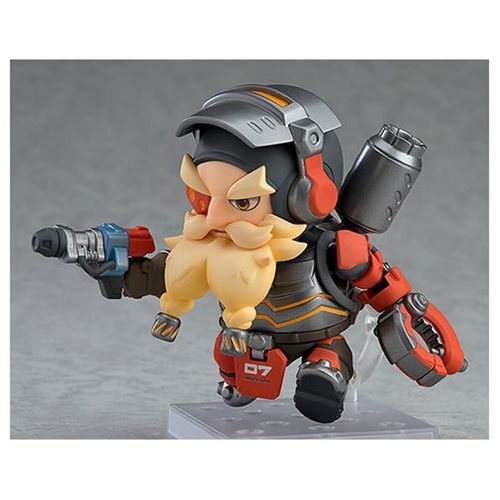 From the globally popular multiplayer team-based shooter Overwatch, comes the tenth Nendoroid figure from the series - Torbjorn! 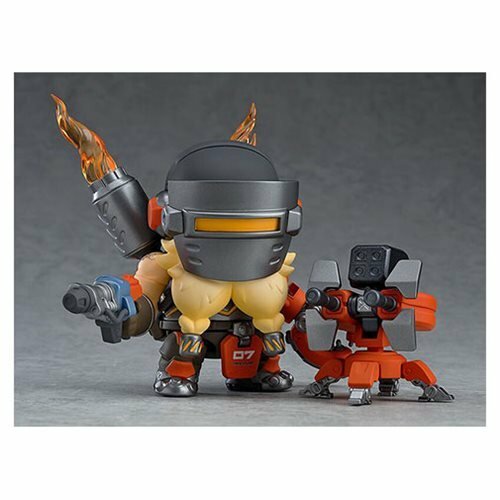 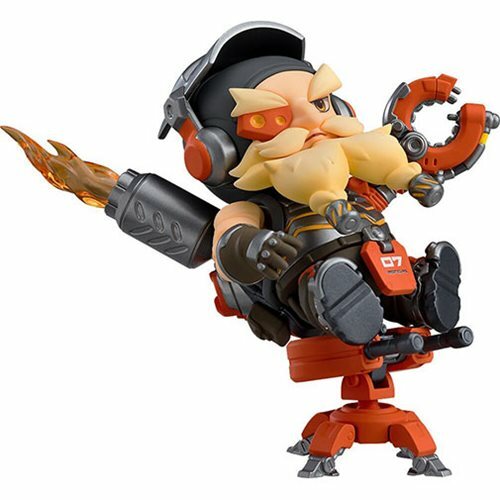 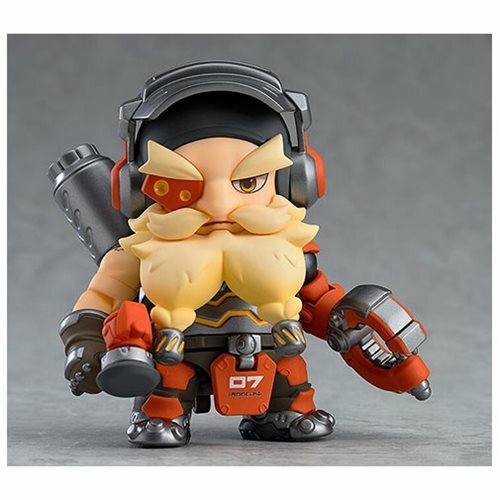 The Overwatch Torbjorn Classic Skin Edition Nendoroid Action Figure is fully articulated and features a double-jointed neck joint, allowing for a wide variety of posing options. 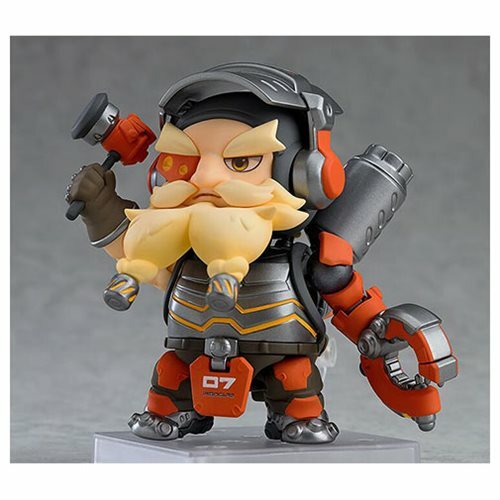 His Rivet Gun, Forge Hammer and an Armor Pack are all included allowing you to easily display him fighting with or against other heroes. 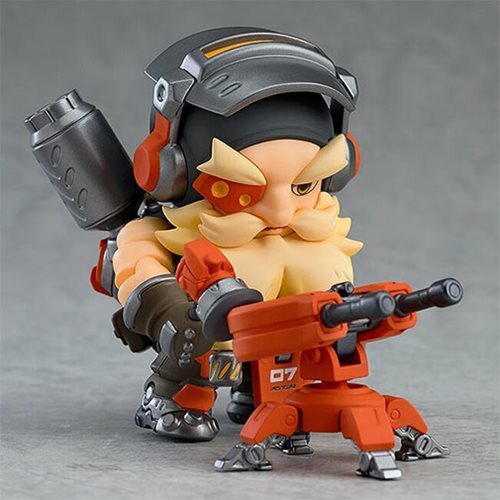 His signature turret is included with interchangeable parts to recreate the powered-up Molten Core version. 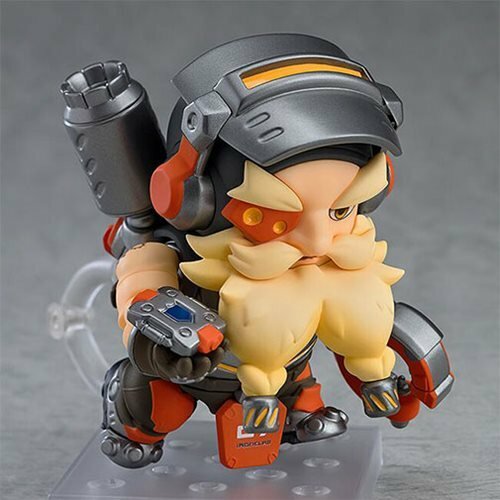 Torbjorn can also be converted into his Molten Core appearance by lowering his articulated mask and attaching the included flame parts. 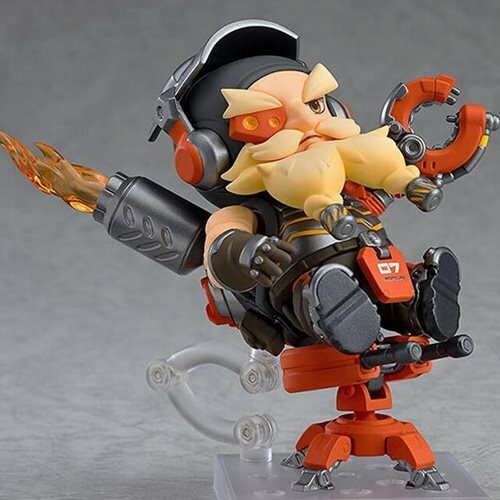 Figure stands roughly 4-inches tall.